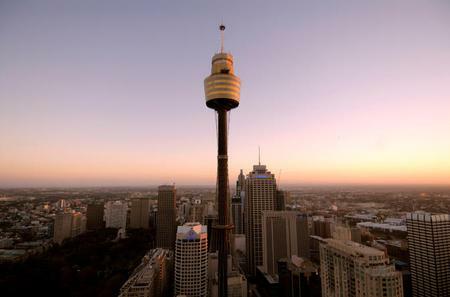 ...efore checking out the Sydney Tower Eye. 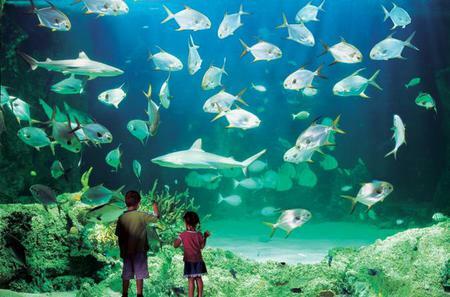 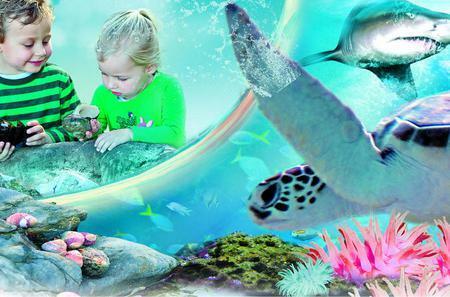 Stop by Manly Sea Life or rub elbows with waxen celebrities at Madame Tussauds. 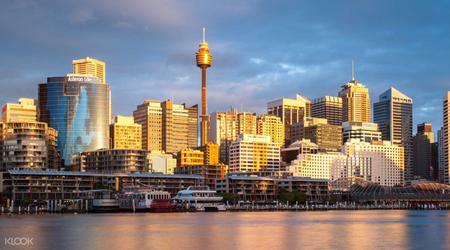 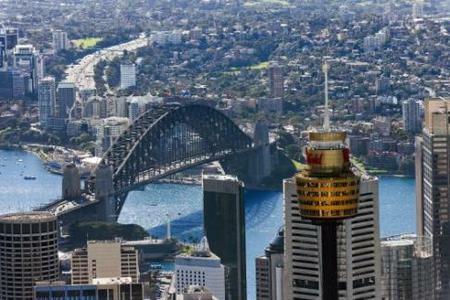 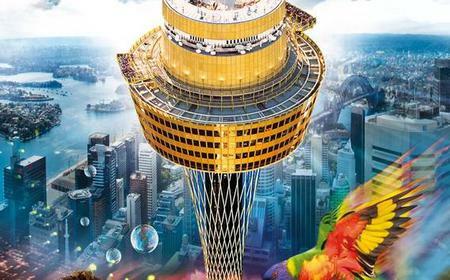 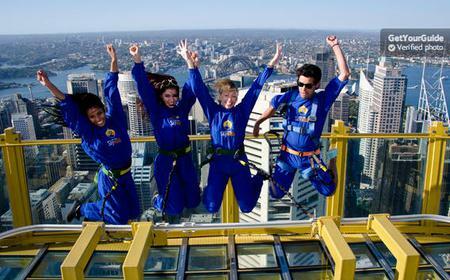 Soaring to a height of 309 metres above Sydney's central business district, the Sydney Tower is the tallest structure in the city and the second tallest observation tower in the Southern Hemisphere after the 328 metre tall Sky Tower in Auckland. 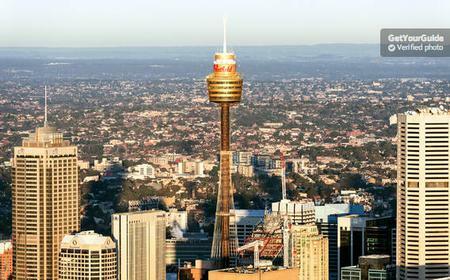 Soaring to a height of 309 metres above Sydney's central business district, the Sydney Tower is the tallest structure in the city and the second tallest observation tower in the Southern Hemisphere after the 328 metre tall Sky Tower in Auckland. 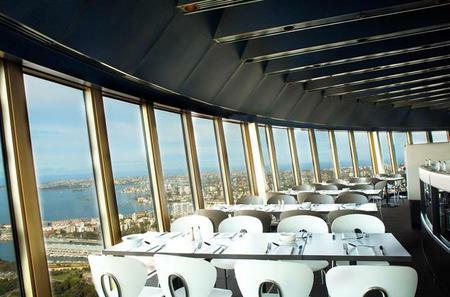 Designed by Australian architect Donald Crone, the tower has the Westfield Sydney shopping centre at the base, and a 4-level golden turret at the top with 360 Bar and Dining on level 1, Sydney Tower Buffet on level 2, STUDIO - the highest event space in the Southern Hemisphere on level 3, and finally an observation deck, Sydney Tower Eye, on level 4 at a height of 250 metres. 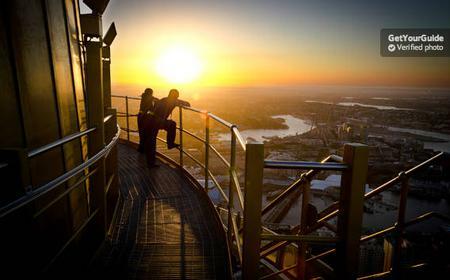 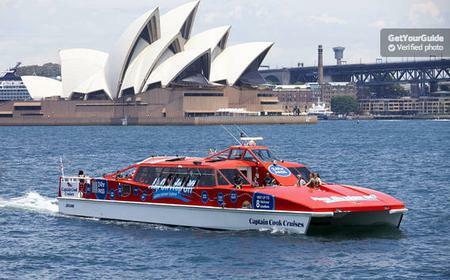 Get incredible panoramic views over Sydney and the harbor through the telescopes placed in every direction, from the Blue Mountains in the west to the Pacific Ocean in the east. 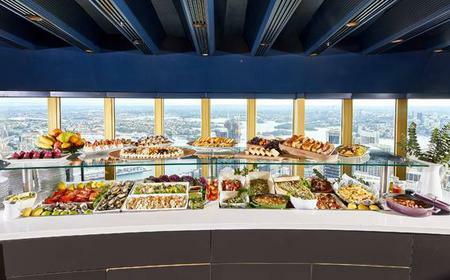 The top floor also houses a gift shop, 4D cinema, and touchscreens that display statistics of the tower. 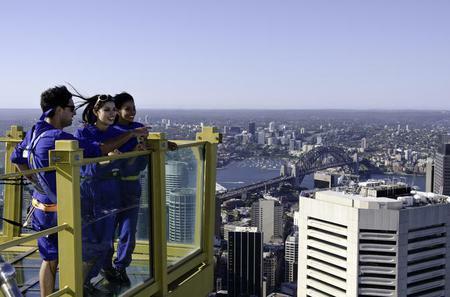 For a heart-stopping adventure, go onto the Skywalk, an open-air glass-floored platform encircling the tower at a height of 268 metres above ground level. 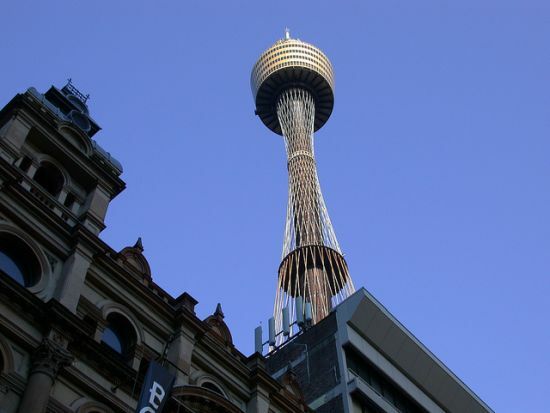 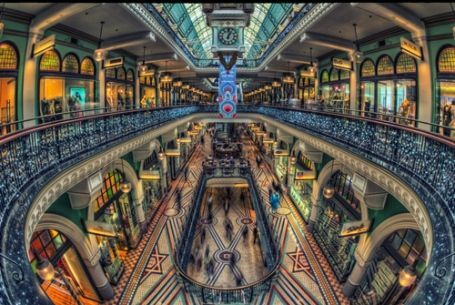 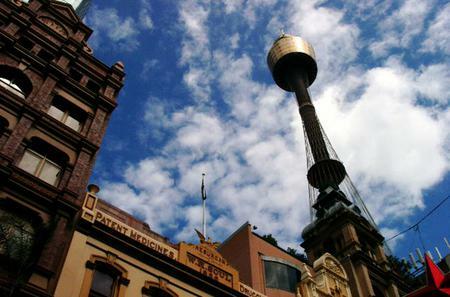 The Sydney Tower is accessible from the Pitt Street Mall, and elevators from level 5 of the Westfield Sydney go all the way to the observation deck.